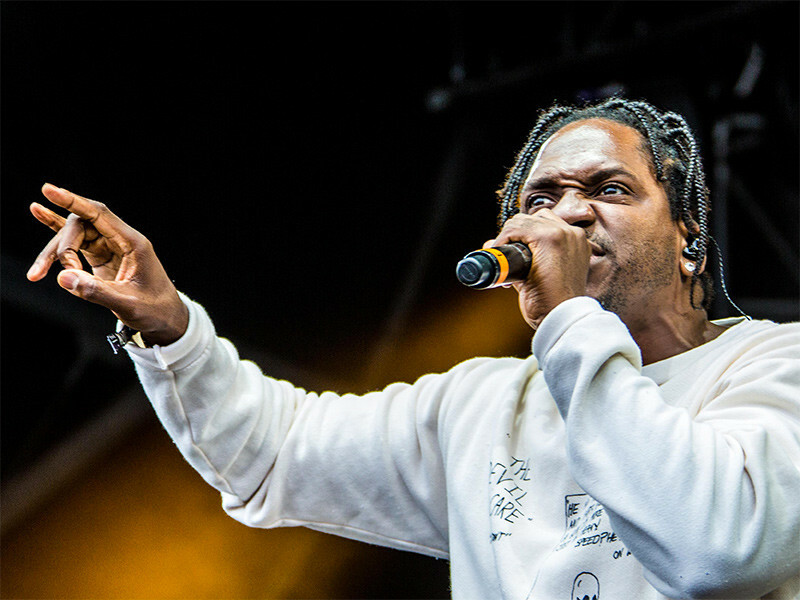 Pusha T Declares Upcoming "King Push" Album To Be "Flawless"
Pusha T is feeling confident about his upcoming album, at least according to some self-congratulatory comments made in a group chat, which were recently made public. The former Clipse rapper, whose real name is Terrence Thornton, called the album “flawless” and “so goooooooooood” in messages revealed by Def Jam A&R Steven Victor. Victor himself backed Push up, agreeing with the “flawless” assessment and deeming it the album of year. Push’s first solo studio album, My Name Is My Name, dropped in 2013 and featured a reunited Neptunes (Pharrell Williams and Chad Hugo) handling production duties. King Push – Darkest Before Dawn: The Prelude dropped in 2015 and was billed as a “warm-up” to the upcoming King Push. Kanye West, who will be producing King Push, said the album is set to drop May 25, which will be followed by a solo Kanye project, a Kanye and Kid Cudi dual project, a Nas album, and a Teyana Taylor project, all overseen by Kanye.